Making a long distance move is an exciting, albeit stressful time. It is easy to get overwhelmed thinking about all the things that must you need to accomplish before moving to your new town. This checklist is the “must dos” before you go, and hopefully will help keep you organized during your relocation. Before the interstate movers show up, you’ll want to make sure and close some accounts and possibly transfer others. Think about things like bank accounts, cable, utilities, direct deposit or magazine subscriptions – all either must be closed (with new accounts opened in your new state) or transferred to your new address. Some large institutions can make a move easy. Have driver’s license or social security number handy, and call with plenty of time to transfer. It might be worthwhile having some cash on hand so that if any transaction does not go smoothly, you can pay for services while waiting for them to transfer. Also be sure to change your address with the USPS prior to your move. Depending on how far you are moving, the cost of moving your belongings can be an unexpected burden, especially when you factor in the often overlooked hidden costs. It is helpful to lighten your load, and why not make a few bucks while you’re at it? Set aside items you are willing to part with while you pack. A garage sale is a great way to get rid of things, but you can make decent money online if you prepare your items. Take well-lit photos, write detailed descriptions, and be honest about each item’s condition. eBay and Facebook have easy to use marketplaces that can help ensure you get the most money for your things. Getting rid of the extra weight also makes moving across the country cheaper! 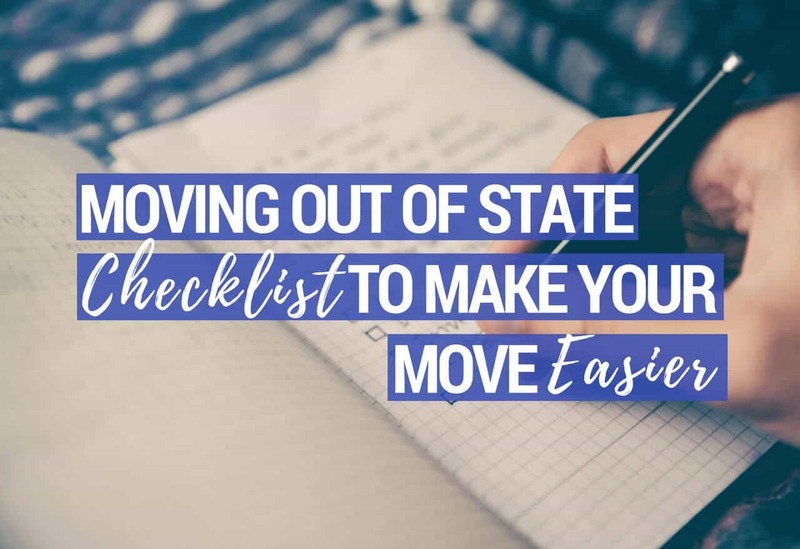 There is so much going on during a move – transferring services, signing leases, selling homes – that you are bound to get overwhelmed with details. We recommend that you make physical copies of everything you sign, so you have proof and references if you end up with a roadblock in your new town. There’s nothing worse than going to pick up your new apartment keys only to be told your lease starts tomorrow. A copy of the contract in hand can prove that your rental does indeed start today and can save you the hassle of finding (and paying for!) a hotel with a full U-Haul. Obviously, you need to pack for your long distance move, but do you know how to do it efficiently? Though it may seem intuitive to pack by room, don’t forget to pack frequently used items like plates, cups or blankets in an easily accessible box towards the opening of the truck. No one wants their silverware in the back, making it impossible to eat dinner without unloading everything. Pack smaller boxes, so they are easier to handle, and label them clearly on more than one side. Pro tip: Use suitcases for your everyday items, and include a couple of changes of clothes, basic toiletries, a phone charger and valuables like laptops. Then if you do need to get a hotel, or you are utterly exhausted from the move, you only need the one suitcase to be comfortable for a night or two.